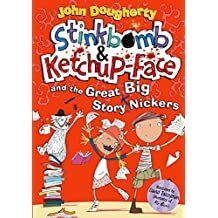 We love the Stinkbomb and Ketchup-Face books so much in our house that we've decided to show you six of these great book covers, with joyous illustrations by David Tazzyman. 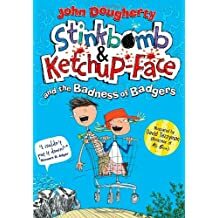 These exuberant romps by comedy genius John Dougherty feature brother and sister badger-busting duo Stinkbomb (Occupation: Boy, Interests: Interesting things, thwarting badgers) and Ketchup-Face (Occupation: Girl, Interests: Singing, jam, ketchup, pretend horsies). 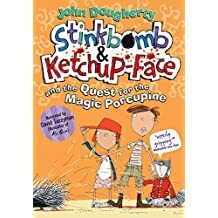 Stinkbomb and Ketchup-Face set off on meta-texual journeys through the pages of their own books - 'Is it Chapter 15 already?' Stinkbomb asks. 'Chapter 14 didn't last long.' 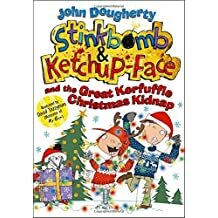 They tackle intriguing quests involving travelling to Siberia to paint the stripes on tigers, busting the badgers' worm pizza racket, discovering the rare, mythical magic porcupine and getting their library books back on time. 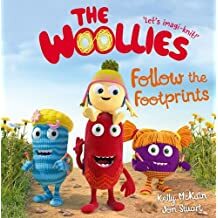 Along the way they meet a colourful and crazy cast of characters including King Toothbrush Weasel and Malcolm the Cat, the Evil and Wickedish Badgers, a Ninja Librarian and a little shopping trolley who is definitely not a horsie (whatever Ketchup Face tells you). 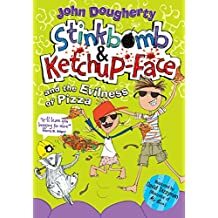 The Stinkbomb and Ketchup-Face series by John Dougherty, with illustrations by David Tazzyman, is published by Oxford University Press. 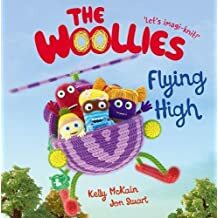 Kelly McKain and Jon Stuart's new picture book series is The Woollies, also published by OUP. 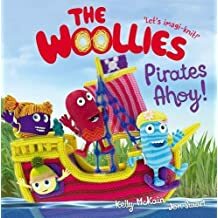 I got the first two or three of these books when they came out for my grandson, and we both loved them. 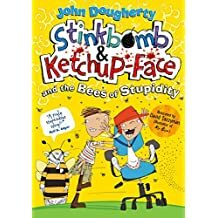 Very funny, very unpredictable, very entertaining.